Here is the new National Drum Beats Newsletter, the Spring 2017 edition for the 2016-17 program year. We hope you enjoy it and that it provides some inspiration for you the member, your Tribes, or your Longhouses. Please take the time to read the stories and features. The next edition is Fall 2017, with an intended release in mid-October 2017, the first of the 2017-2018 program year. Here is the new National Drum Beats Newsletter, the Winter 2017 edition for the 2016-17 program year. We hope you enjoy it and that it provides some inspiration for you the member, your Tribes, or your Longhouses. Please take the time to read the stories and features. The next edition is Spring 2017, with an intended release in mid-May 2017, just after the National Longhouse Annual Meeting. 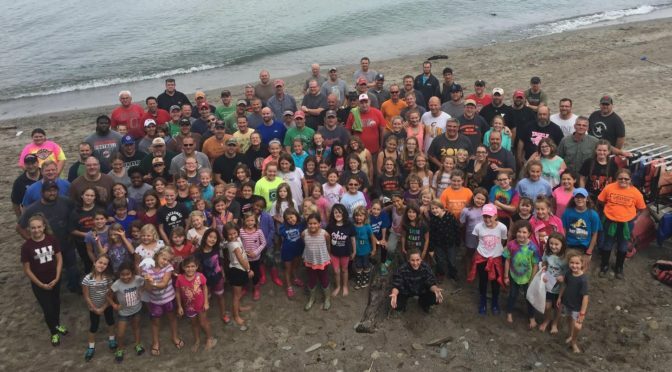 Welcome to the Western Reserve Longhouse, our newest NATIVE SONS AND DAUGHTERS® Program, serving over 100 families in Cuyahoga Falls, Kent, Hudson, and Stow, Ohio. You can learn more about the Western Reserve Longhouse by visiting their website at http://www.westernreservensd.org. 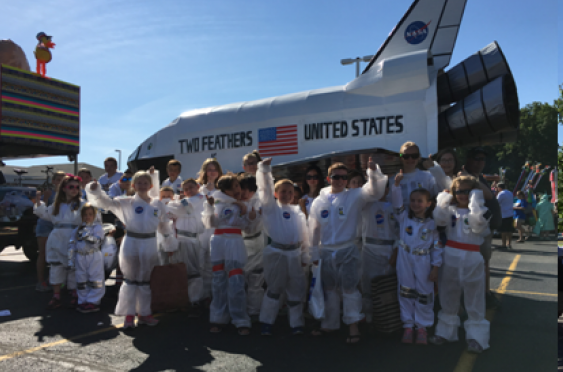 Our very own Two Feathers Longhouse and their American Space Flight Float Team constructed an impressive Space Shuttle for the 13th Annual Avon Heritage Duck Tape Festival. Check out this video from the Today Show. Two Feathers’ space shuttle starts around the 0:45 mark. National Officer Candidate Nominations are now being accepted. National Council of Officer elections will be held at the Annual Meeting, April 29th – May 1st, 2016, in Helen, Georgia. For more information about candidate positions and nominations, please visit our elections page.